Students love Nottingham – and so do we! The city offers all the shopping, sport, culture and history you could ask for. With over 60,000 students making Nottingham their home, it has a unique student feel that brings the city to life. 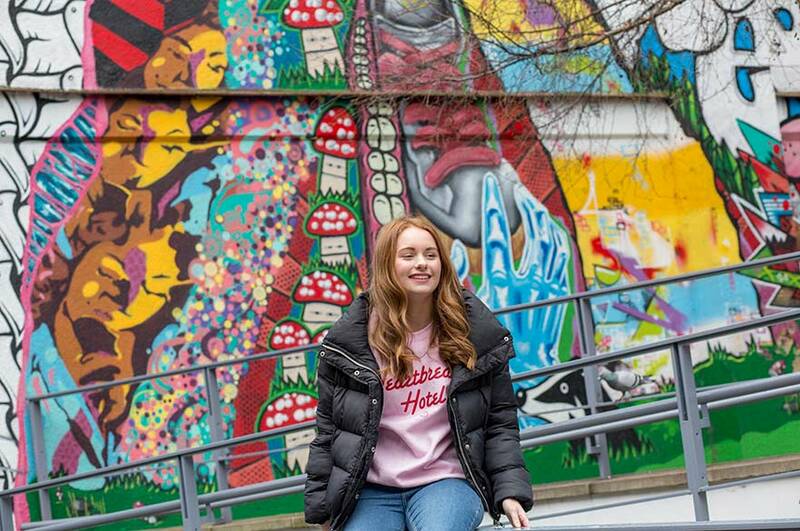 Explore the pubs, cafés, bars and clubs that make Nottingham famous – we asked some NTU students for their favourite places to go, and they’re just the tip of the iceberg – our Nottingham section will give you a more in-depth look at what’s on offer here. 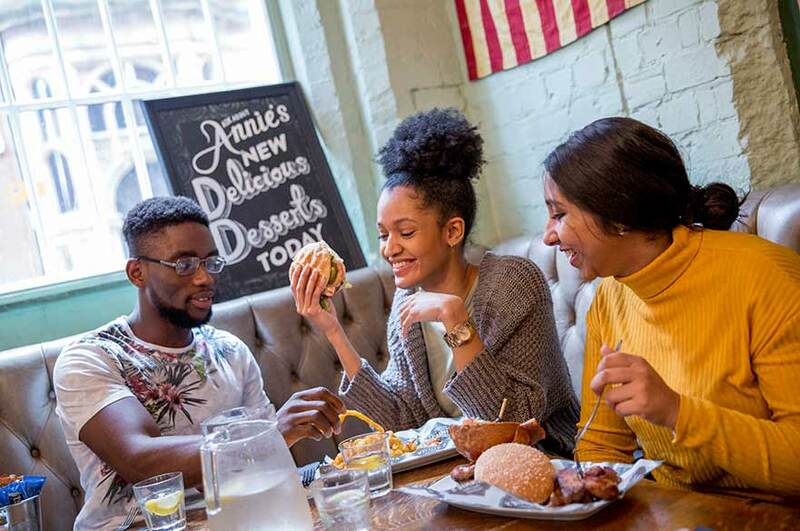 Annie's Burger Shack – hidden away in the Lace Market, it has a fantastic selection of weird and wonderful burgers. It's the perfect place to go after a hard week at uni! Nottingham Street Food Club – this indoor street food market embodies Nottingham’s independent flavour. Das Kino – tuck into your feast of cheesy pizza, juicy burgers and all-you-can-eat wings. Grab yourself a pint in a stein for a taste of Berlin at this German-themed bar. For a plateful of other ideas, visit our fantastic Nottingham food page. There's a small bar called Tilt that sells really nice cocktails and always has some nice blues or jazz music on. Nottingham’s stuffed with bars, pubs and clubs – there’s something here to suit every taste. Whether you want laid back and classy, or pure cheese, you'll find it here. Explore the city's unforgettable nightlife in our Nottingham section. If you're into the vintage thing, there's a really cute shop in Hockley called COW. That's somewhere that me and my friends always go to. Cobden Chambers – for pop-up street food vendors, markets and street art, or explore Victoria Centre Market for crafts, fabrics, flowers and food stalls. Whether you’re searching for a bargain, or looking to splash out, visit our shopping section for a detailed look at what's on offer. Broadway – an independent cinema in Hockley showing a mix of mainstream, foreign and arthouse films. Also home to two lovely café bars which regularly host themed nights, live music and quizzes. The Arboretum – tucked away minutes from our City Campus, it's a treat in every season – from springtime blossom blizzards, to some gorgeous winter snowscapes. Wollaton Park – this stunning park is a haven for dog walkers, joggers, picnickers, festival-goers, and – whenever it snows – sledgers and skaters. A true Nottingham institution! Whether you’re after an artisan cuppa in creative company, or somewhere to get your own juices flowing, Nottingham’s got you covered. See what’s on offer in our culture section. If you're studying at our Clifton or Brackenhurst Campuses, the easiest way to visit the city is to catch the bus. The Clifton Campus is served by the number 4 Go2Uni bus, with a travel time of around 20-25 minutes in peak traffic between Nottingham and the Campus. 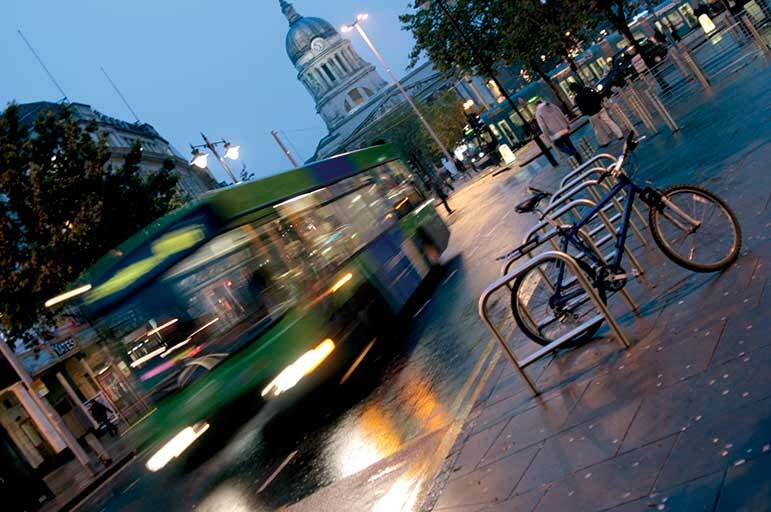 If you're studying at our Brackenhurst Campus, you can travel into Nottingham using the 100 bus service. There's a bus stop just outside the campus entrance and travel to the city centre takes around 45 minutes. Check out our travel section for more information on the city’s bus and tram networks. If you’re studying at our Brackenhurst Campus, you’ll be living just outside the town of Southwell. Steeped in history and in the shadow of the magnificent Southwell Minster, you’ll find pubs tucked down cobbled lanes and quirky independent shops in abundance.